The color-coding doesn’t communicate anything useful other than the brands. The time period numbers don’t align with the time they correspond to. 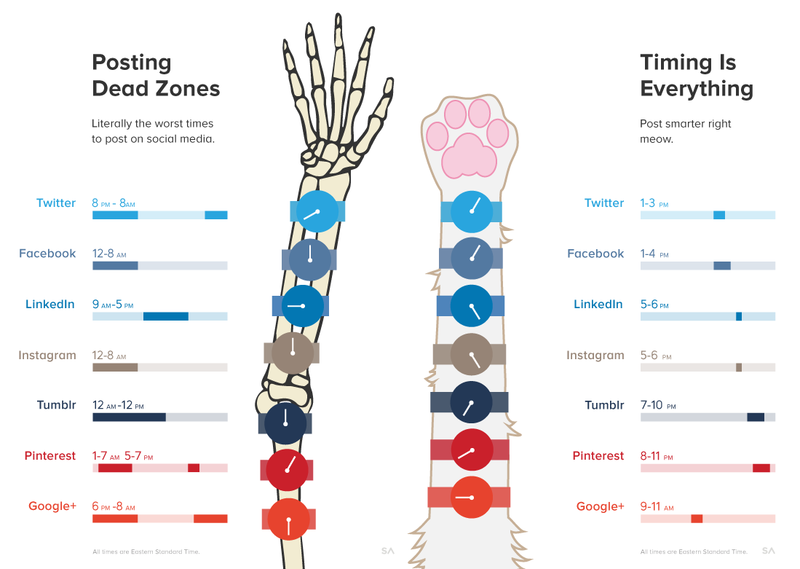 The timeline doesn’t communicate relevant context like the typical workday or daytime to reveal which networks are for night owls (e.g.). The good and bad timelines are divorced, so you can’t see the “okay” periods. The watch artwork serves no purpose other than visual noise because there’s no a.m./p.m. distinction. 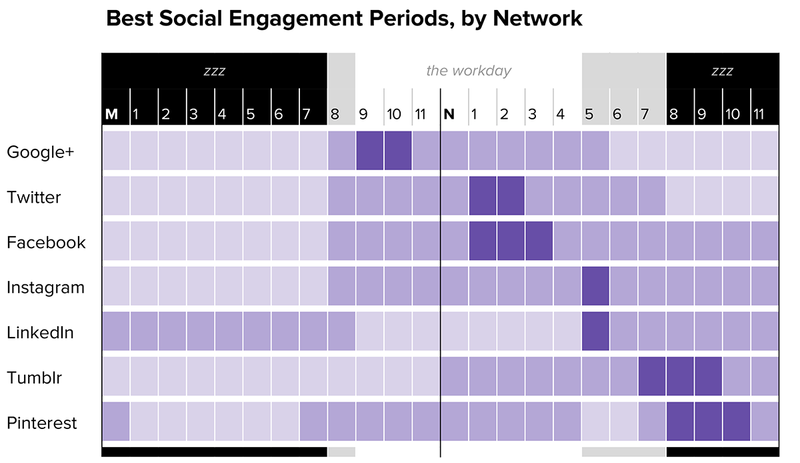 Order the networks from earliest to latest peak engagement periods, to allow someone to work down the list through the day. Show highest and lowest periods, using tone more than color, to address color blindness concerns. Mark “M” for midnight and “N” for noon, to avoid the awkward military time. Show daylight hours and workday hours. Brand icons next to the names would give it a quicker visual scan. I could add a color key, but I believe the meanings here are fairly apparent, so meh.